Even before "We want completely free health care for all black and oppressed people" would eventually become number six on its "Ten Point Program" in the 1970s*, the Black Panther Party knew that health care was a matter of life, death, and self defense for black communities. 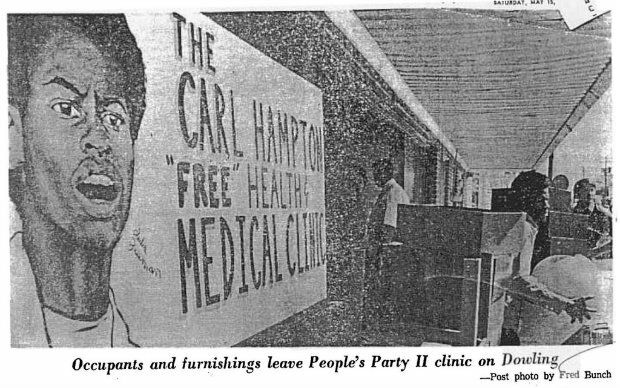 At the Black Survival Conference on May 13, 1972, the BPP formally announced its health policies which served to continue to foment the tradition of health activism in African-American communities. It was prescient in that it predated the sobering findings of the Tuskegee syphilis experiment and forced-sterilization of black women which, combined, would serve as the benchmark to show that African Americans, at so many times the most vulnerable in society, were constantly being subject to both "the excess and absence" of law and health-related policy. Also, the conference and related provisions underscored the importance of health-related research, access, knowledge and prevention. In this video, Dr. Alondra Nelson, professor of sociology at Columbia University and author of "Body and Soul: The Black Panther Party and the Fight Against Medical Discrimination," discusses the legacy of this advocacy as well as the relevance today in the campaign for universal health care--regrettably, the very thing that The Patient Protection and Affordable Health Care Act is not. *6. "We Want Completely Free Health Care For All Black And Oppressed People. We believe that the government must provide, free of charge, for the people, health facilities which will not only treat our illnesses, most of which have come about as a result of our oppression, but which will also develop preventive medical programs to guarantee our future survival. We believe that mass health education and research programs must be developed to give all Black and oppressed people access to advanced scientific and medical information, we may provide ourselves with proper medical attention and care."